Shell Oil is a source of fuel that is great because it has a heat value almost equal to a coconut shell, Shell oil can have more value if processed into charcoal and briquettes, so have a shelf life and longer life. 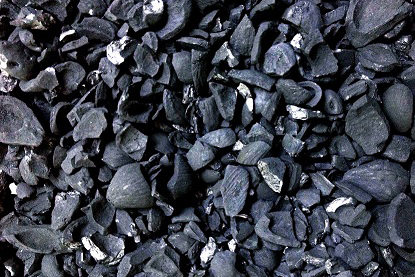 The manufacture of Charcoal from Palm shell is not synonymous with the manufacture of Charcoal from coconut shells, Palm shell charcoal making process known as the way of indirect combustion, which means that the shell oil doesn't come into contact with fire, but through the media such as steel or stainless steel. Shell Oil is cleaned from the husk attached in the shell to clean because if there is still coconut husk will reduce the quality of the charcoal produced. Fuel drums or containers from under direct fire to burn Palm shells. keep the fire remained large until there is no more smoke is coming out of the drum if using the container until the Palm shell color has changed to black. Long burning is usually about 2 hours if the actual fire. Let stand about 6 hours for the cooling process. Such is the way of making charcoal from shells, Palm may be useful if there are readers who have experience of the process of making charcoal from Palm shells can be shared. Thank you.